[PDF] Perils of Empire: The Roman Republic and the American Republic | Free eBooks Download - EBOOKEE! 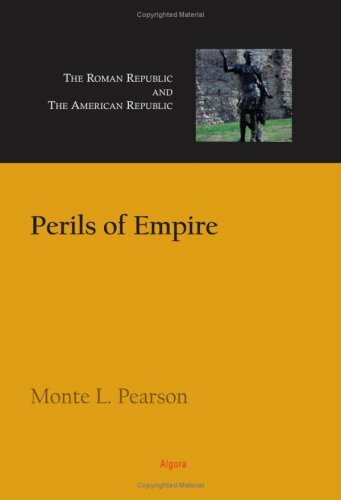 Description: In Perils of Empire: The Roman Republic and the American Republic, the author traces how the Roman Republic gained an empire and lost its freedoms, and he ponders the expansionist foreign policy that has characterized the American Republic since Teddy Roosevelt led the Rough Riders up San Juan Hill. This well-researched study of both long-term trends and current events highlights the difficulties of balancing the demands of ruling an empire and protecting democratic political institutions and political freedoms. No comments for "[PDF] Perils of Empire: The Roman Republic and the American Republic".